The best designers always look for new sources of inspiration, and jewelry designers are not exempt. Often, they draw inspiration from the world around them – nature, growing things, celestial objects, and other arts such as paintings, music, dance and more. A known example of jewelry design inspired by an art style was Art Nouveau, developed in the second half of the 19th century. It combined elements of nature such as plants and flowers with the female form. Art Nouveau influenced all facets of design, from art to architecture, including jewelry design. The constant search by jewelry designers for sources of inspiration is well-felt in our day and age. The artistic team at Brazilian based jeweler H. Stern, for instance, recently launched a collection inspired by Brazilian dance theatre company Grupo Corpo. Grupo Corpo is known for combining Brazilian styles of dance with classical ballet and modern dance. Drawing inspiration from the dance company’s routines, costumes and sets, H. Stern designed four collections of rings, earrings and bracelets made of 18k yellow gold, Noble gold and pink gold – all of which simulate movement and flexibility. One of these collections, dubbed Breu, is inspired by a ballet of the same name, meaning “pitch dark”. 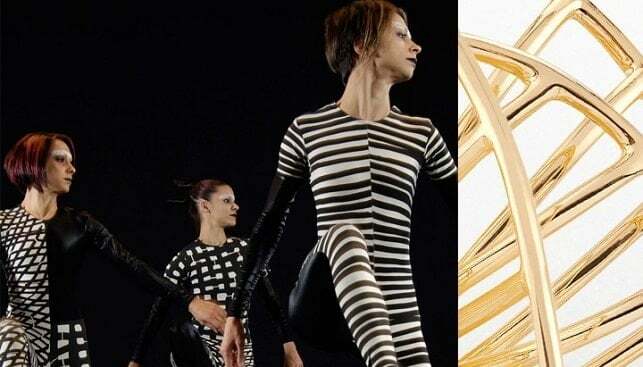 For this ballet, the costumes and set were designed in geometrical shapes of black and white, and the jewelry designers interpreted the dance into pieces made of a twisted web of yellow gold that creates open spaces, and marks the contrast between black and white. Another ballet, called Triz, features suspended steel cables from which the dancers move in and out the stage. 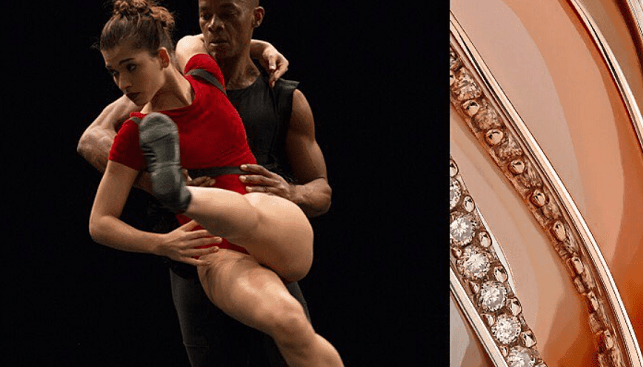 The pieces inspired by the ballet are made of a continuous strand of 18kt of Noble gold set with strands of diamonds to emulate the dancers’ comings and goings on stage. Another collection, Symphonic dance, is inspired by the red velvet curtains and leotards that dress both the set and the dancers. The pieces in this collection are set with diamonds and made of blades of Noble gold with others of rose gold. Jerusalem, a spiritual center for the three major monotheistic religions, has been a source of inspiration for many years. 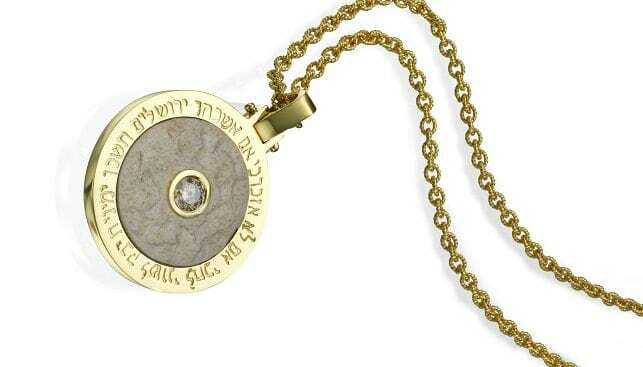 Moriah Jewelry, for instance, recently showcased a unique collection – including sculptures, cufflinks, rings, earrings and pendants – combining authentic Jerusalem Stone with gold and diamonds in classic designs. Founder and CEO Avi Tavisal, a seventh-generation Jerusalemite, is a Zionist and a man of faith, and has looked for a way to express his love for Jerusalem in his creations. After he was permitted to use authentic Jerusalem Stone, he created the Moriah collection, named after Mount Moriah. Each piece combines precious materials: diamonds, gold and Jerusalem Stone – made holy for the last 3,000 years. The collection is limited, and features 7 pieces of each design. One piece is a Hamsa (“Hand of God”) made of diamonds, Jerusalem Stone, and an intricate sculpting of the Walls of Jerusalem,– all set in 14K yellow gold. 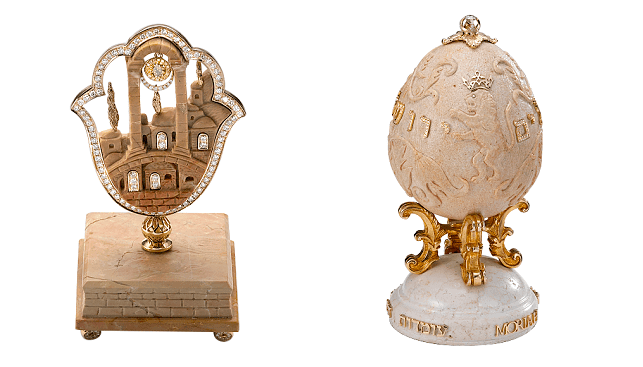 Another piece combines two classically inspiring elements – Jerusalem and Fabergé eggs – coming together on a piece called “Jerusalem Egg”. It combines yellow gold and diamonds weighing 2.99 carats. What is the recipe for success for these long-standing establishments?